Chinese media platform http://www.k618.cn/, the Qing Nian Zhi Sheng service office, and the Communist Youth League of China's Internet Film Center organized the event. The activity aims to highlight companies that help provide critical social services and calls on domestic auto companies to shoulder more social responsibility. 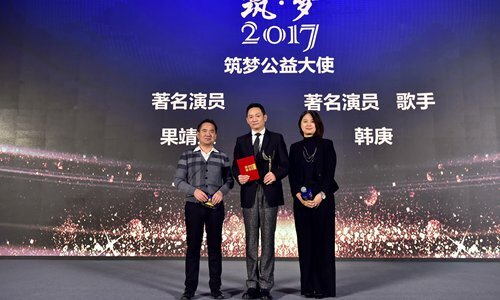 There were 10 social welfare awards for enterprises, five social welfare awards for individuals, and one group award. The auto companies that received awards at the ceremony are as follows. Geely Auto: Geely Auto launched the Geely HOPE-Green Pathways program in 2014, through which it donates sports equipment, supports sports classes and organizes sports games for 13 primary schools in 12 cities. Porsche China: In collaboration with the United Nations International Children's Emergency Fund (UNICEF), the company is committed to improving the education and early development of children in remote areas in China. The total donated funds reached 60 million yuan ($9,155,413) and benefited 915 schools and 310,000 students last year. Guangzhou Automobile Group Motor Co., Ltd (GAC) Motor Trumpchi: The company's Ling Yang Che social welfare program facilitated youth support and training at 570 schools. Jaguar Land Rover: The Jaguar Land Rover China Children & Youth Dream Fund was established three years ago. It supports the Hope Schools in China and has never stopped working to improve the quality of education for children in remote areas. BMW: BMW established three major social welfare programs: BMW Children's Traffic Safety Education, BMW China Culture Journey and BMW Joy Home through which the company has helped 60,000 children. FAW-Volkswagen: The car company supports traffic safety for children, mental health services for left behind youth, and Hope Schools through its FAW-VW China New Future Initiative. So far, the initiative has organized over 300 children's safety social welfare classes and donated 700 children's safety seats across the country. Volkswagen Group China: Through its 1,000 Environmentally Friendly Teacher Ambassadors' Action Program, the group is dedicated to raising student awareness of environmental protection and encourages them to think creatively about a solution to environmental issues. Nissan Group of China: By spreading auto culture and knowledge, Nissan Dream Classroom helps students cultivate creative and practical skills. So far, over 60,000 students have benefited from this activity. Changan Ford: They have organized competitions for young Chinese football players in the four consecutive years since 2014. The top players can go abroad for football training. It is one of the largest and most influential youth football events in China. Dongfeng Motor Corporation: By providing more than 12 million yuan ($1,830,636) in financial support, the company has established 15 Hope Schools.